Jesus is a character that is out of place in Islam. When you look at Christianity, the attributes of Jesus make sense in relation to their theology about him. Jesus being born as a virgin and having no father fits well in the claim of Jesus being the son of God. The titles of Jesus don’t make sense in Islam. The stories about Jesus we find in the Quran we have found sources for in ancient Syriac documents. As an aside, this article will assume that Jesus was a real person who existed. 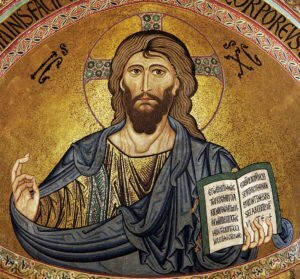 Dr. Carrier has written a book “On the Historicity of Jesus” about the evidence against Jesus existing, and he has made some good points, but for the sake of argument, we will take the position that Jesus was a real historical person who lived and died. Muslims believe that Islam sets the record straight and corrects the misconceptions about Jesus and all the other prophets, but we have to ask, what is the evidence for this? The story of Jesus was taken from Christianity in order to make the case for Islam stronger and to appeal to a wider audience. Let us examine if Islam provides the correct unadulterated story of Jesus, while the Bible provides the corrupted version. Adding to history is that there were fewer Christians living in Arabia, many of them being heterodox sects with non-mainstream Christian beliefs. We know that Waraqah bin Nawfal was a type of Christian, a Nestorian priest. He may have been one of the main sources of Christian doctrine coming to Muhammad. When it comes to Judaism, we know that there were many Jews that Muhammad interacted with and lived around. So it makes sense that he would be more familiar with the stories of the Old Testament. In fact, Moses is the most mentioned prophet in the Quran. We should ask, where is this Injeel? Well, nowhere to be found. No trace of it. None whatsoever. If God sent Jesus with a revelation, either a book or an oral recitation like the Quran, it’s totally gone. Is it possible Muhammad mistakenly understood the Christian idea of “Injeel” and included it in the Quran? Is it just a coincidence that Islam calls Jesus’s book the gospel (الإنجيل)? It’s hard to believe such a revelation existed and then suddenly and mysteriously disappeared. Much less important documents have survived such as the infancy gospel of Thomas, the Dead Sea scrolls and others, yet the entire Injeel of Jesus was completely lost? So if Jesus did not come with a revealed book called “the gospel”, what exactly is the gospel? Well, there’s not one, but four gospels. The four gospels are considered the inspired word of God written by Matthew, Mark, Luke, and John. Little is known about these authors but they were Greek-speaking Christians who 40-100 years after the death of Jesus wrote these books. Christians believe these men were inspired by the Holy Spirit to speak on behalf of God, not that they received verbatim revelation from God (like the Quran claims to be). Muslim scholars will claim that Jesus had an Oral Injeel that was completely lost. In Islam, there is no apparent reason why Jesus has no father and was born of the Virgin Mary. Allah simply decided out of millions of babies born every year that he would make one of them without a father. Why did Allah interrupt the process of birth for this one baby out of millions born? Well in Christianity we have a pretty convincing answer. He was the son of God. THAT’S WHY HE HAS NO FATHER. GOD is his father. The idea of Jesus having a virgin birth – This story does not exist in the oldest gospel – Mark, but actually appears later on in the gospel of Matthew and Luke. When we look at the 4 gospels in order from oldest (Mark) to newest, we see how Jesus goes from barely a hint of being God in Mark to “In the beginning Jesus was God” in John which is the last gospel. If it was clear that Jesus had a virgin birth, why didn’t Mark mention it? Why was it not mentioned until Matthew 70 years after the supposed event? And if a king shall arise from among the House of David, studying Torah and occupied with commandments like his father David, according to the written and oral Torah, and he will impel all of Israel to follow it and to strengthen breaches in its observance, and will fight God’s wars, this one is to be treated as if he were the anointed one. If he succeeded and built the Holy Temple in its proper place and gathered the dispersed ones of Israel together, this is indeed the anointed one for certain, and he will mend the entire world to worship the Lord together, as it is stated: “For then I shall turn for the nations a clear tongue, so that they will all proclaim the Name of the Lord, and to worship Him with a united resolve (Zephaniah 3:9, Mishneh Torah, Laws of Kings 11:4). Jesus did not restore peace to earth, become the ruler of the Jews or any such thing. He was supposed to become the King of the Jews. However, his plans to become the Messiah were cut short when he was crucified for making this claim. The mashiach will be a great political leader descended from King David (Jeremiah 23:5). The mashiach is often referred to as “mashiach ben David” (mashiach, son of David). He will be well-versed in Jewish law, and observant of its commandments (Isaiah 11:2-5). He will be a charismatic leader, inspiring others to follow his example. He will be a great military leader, who will win battles for Israel. He will be a great judge, who makes righteous decisions (Jeremiah 33:15). But above all, he will be a human being, not a god, demi-god or other supernatural being. So Jesus being the messiah doesn’t work either in Christianity nor Islam. So we can see how it fits in here. Jesus is actually God in their theology. Yet Islam again doesn’t give a good explanation as to why Jesus is called Kalimatullah, it really does seem borrowed. In Christianity, Jesus is connected to the Holy Ghost (Ruh Al Quddus). Why is Jesus the spirit of Allah in Islam? Does it make any sense? Does it fit in the context of Islam? Interestingly, certain doubtful stories that were available at the time ended up in the Quran. What other stories did he include in the Quran that we found? The story of Jesus making clay birds and making them come alive come from the Infancy Gospel of Thomas which was written mid- to late-2nd century which was written to show more miracles of Jesus. 3 And a certain Jew when he saw what Jesus did, playing upon the Sabbath day, departed straightway and told his father Joseph: Lo, thy child is at the brook, and he hath taken clay and fashioned twelve little birds, and hath polluted the Sabbath day. 4 And Joseph came to the place and saw: and cried out to him, saying: Wherefore doest thou these things on the Sabbath, which it is not lawful to do? But Jesus clapped his hands together and cried out to the sparrows and said to them: Go! and the sparrows took their flight and went away chirping. The story of Jesus speaking as an infant comes from the Syriac Infancy Gospel, which was written 5th-6th century and was based on the earlier Infancy Gospel of Thomas. Most Christians reject this story as a complete forgery. Interestingly this document was originally written in Syriac (a language similar to Arabic) and available at Muhammad’s time in the 6th century. In conclusion, Muhammad took the stories of Jesus that were available to him and fit them into the Quran in order to make his message appeal to Christians. However, he got some of the details wrong along the way and included references to doubtful stories. Bart Ehrman here in “Introduction to the virgin birth idea (4min video)”. The old testament in Isaih describes Jesus as God. You need to reread the Bible. It is not explicit, but in Christian theology the term “Christophany” is applied to instances where Christ is believed to have interacted with humanity before the incarnation. There are quite a few of these, actually, and there are verses as well that speak of the messiah which Christians (obviously) interpret as being about Christ. I believe Gabriel is referring to Isaiah 63:9? I’m not sure. Genesis chapter 18 with the three visitors is much debated as well; It is generally agreed that two of the men are angels and that one of them is God; the narrative is structured very strangely, with God speaking to Abraham and the three men kind of acting out God’s actions, almost. Of course John 1:18 tells Christians that no one has seen God, which means that the Lord (in the context of the three visitors) is probably Jesus. Colossally confusing stuff for unverifiable metaphysics. The Old Testament does not, either in Isaiah or anywhere else for that matter, describe JESUS as God. JESUS does not appear in the Old Testament. Christian writers INTERPRET certain passages as prophetic descriptions of Jesus. Ask any rabbi if they see JESUS in those passage you mean from Isaiah (or anywhere else in the Old Testament) and see what they tell you. FYI, many Muslims see Muhammad described in the Old Testament and the New Testament. Bet you wouldn’t agree with those passages either! Can you quote those verses for me talking about Muhammad in the Bible? Also, you are Muslim right ‘John’? The Old Testament doesn’t say ‘Jesus’ is God because they don’t know the name of Jesus yet. But the Old Testament does prophecy that the Messiah will be God. I think the most powerful verses are these below, because Jesus used them to make a case that he is the a Messiah and God. Jesus was doing 1st century apologetics himself! So, Jesus He was quoting Psalm 110:1. He basically argued: if the Messiah is the descendant of David(Daud) why he called His descendant Lord? He must have existed! And notice God ( the Father) is sharing His Throne “Sit at my right hand”. This is hinting to the Trinity. 13 “In my vision at night I looked, and there before me was one like a son of man,[a] comingwith the clouds of heaven. He approached the Ancient of Days and was led into his presence.14 He was given authority, glory and sovereign power; all nations and peoples of every language worshiped him. His dominion is an everlasting dominion that will not pass away, and his kingdom is one that will never be destroyed. Again, In Jews and Christian understanding, God doesn’t share His throne. Only Him worthy of worship. But in here Daniel said someone look like the Son of Man ( looks like human) approach the Ancient of Days ( God the father ) and was given authority and dominion forever! And all people will Worship Him. So this is an understanding that the Messiah will be God. By claiming that He is the Son of Man, the Jews know that he claim to be God and want him dead because is blasphemy to call yourself God. In this case Jesus doesn’t have to say this, He just need to be born in Betlehem. Because the Messiah is prophecy to be born in Betlehem. Notice the a messiah coming from Ancient Days. It means he exist long before. Ancient of Days also God’s title. There are more! But this should make a good case. I think Gabriel might be talking about Isaiah 9:6. “For unto us a child is born, unto us a son is given. The word mighty god is “El Gibbor”. It indeed means Mighty God but can also be used to refer to humans. Anyways since Isaiah uses it with another title of Everlasting Father (or Father of Eternity), I think it is more accurate to translate it as Mighty God. Another time is when God and two angels on physical bodies visited Abraham. John makes a big reference to this. Anyways I think he speaks about these points. My Brother in Humanity! There is no convincing proof from the Quran that the ‘Injeel’ given to Prophet Jesus (pbuh) referred to a “BOOK”, but plainly as ‘Injeel’. Only the Book of Moses (Torah) is recognised as an immediate ‘Book’ before the Quran. THE INJEEL WAS WISDOM GIVEN TO PROPHET JESUS (pbuh) …. It is clear from the Quran that Prophet Jesus (pbuh) was granted wisdom even as a child (19:29-30, 5:110). There is no proof from the Quran that he was bestowed with a separate book called the ‘Injeel’ at such a young age. In contrast, the Injeel seems to refer to the ‘wisdom’ that was granted to him. Mr Sameer,you seems to not have merely stopped being a Muslim and now an atheist.Rather,it appears as if you converted from one religion-Islaam-to another religion-Atheism!What you are doing now is obviously trying to ensure others do not become Muslims and ignorant Muslims become atheists.You are preaching atheism in summary. 1That Jesus was only a mortal though honored and exalted and neither Son of God in the literal,Greek and mythical sense nor God. d. via a woman without a father’s role. Allaah made Jesus-peace be upon him-a Messenger that is a collection of signs-his miraculous birh,speaking at the cradles,speaking in middle-age when he returns,healing the blind,deaf and dumb,raising the dead,miraclulous escaping of death plot by crucifixion,stoningor whatever,fashoning of a bird-like shape that became a real living bird (not 12 as Infasny Gospel of Thomas fabricated on a Sabbath likethe 4 “Gospels According to” too unreliabe),prophesying Ahmad the Seal of all prophets and messengers-peace be upon them all-etc. Who makes as an example in each case is up to Him.They are all His creatures and none may be called God or his literal “begotten not made”!By necessity,living things reproduce after their own likeness.Rationally,what shall you call a “literal begotten Son of God” and when God Has no likeness. 3.That original sin is a lie as Adam and Eve were forgiven.Moreover,no body may be held responsible for another’s sin. 4.That the vicarious is monstrous falsehood. 5.That Jesus did not die from crucifixion and as such did not resurrect. 6.That though he was raised up as they too say but that when he returns he will be disapproving Christianity by breaking the cross and killing pigs to enshrine adherence dietary regulations that the Tawrah had ordered and Christians lived in the delusion of its irrelevance for centuries. 7.That yes,he will become a just ruler but no rapture and no judging the world as GOD. 8.Finally he too will die. You “cut and paste” is claim is ignorance and mental slavery to the attacks of some enemies of Islam.May Allaah remove the veil on your mind and heart. You mentioned that the earliest account of Jesus-peace be upon him-“The Gospel According to Mark” does not contain the “virgin birth story” and so the Qur’aan must be wrong in confirming it.What logic is this?Should the Qur’aan claim to be well researched and accurate historical work of a man,you may have a debatable point since an earlier document closer to the event says something else or doesn’t mention something.But we all know that is not the claim of the Qur’aan.The Qur’aan claims to be God’s revelation for humankind as vouchsafed to the Seal of the Prophets Muhammad-peace be upon him.End of story.You are free to challenge its claims or call for its investigations but not with this false premises. Nonetheless,note that at the baptism of Jesus Mark declares him to be the Son of God.Some critical bible scholars use this to prove that Jesus was an “adopted Son” at his baptism and not because of virgin birth.Perhaps,this is why Mark did not include the virgin birth in his narrative.Remember,the 4 gospels were not meant to be authoritative historical documents.They cannot be trusted as historical works,they all have their doctrines and theology to project and get converts.The Qur’aan on the other hand is God’s revelation that validates the historicity of Jesus’ miraculous birth and yet reject the false notion that as such he must be God’s “begotten not made Son”.Remember also that both Old and New testament call others God’s son without virgin birth. As a general rule,Matthew 5:9 asserts that peacemakers are to be called “the Children of God”.It says “Blessed are the peacemakers,for they will be called children of God.”.Though Paul did not mention the virgin birth story nor alluded to it in any way,yet he calls Jesus “Son of God” too.See 2 Corinthians 1:19 for an instance.As a general remark Paul declared in Romans 8:14 “For those who are led by the Spirit of God are the children of God.”.In the Old testament too righteous people are called “sons or children of God”.Israel as nation expected to devote themselves to God’s service for which He chose them was called “you shall be my Son and I shall be your Father”.Moses was also called His Son.These does not make them divine or GOD.Even where they are directly called “gods” (Elohim same word used for GOD in Genesis 1:1) or as Psalms 82:6 says “I said, ‘You are “gods”; you are all sons of the Most High.”.The word used for “gods” here is “Eolhim”.Regarding Moses Exodus 7:! says he is “Elohim” unto Pharaoh. The consistent witness of the OT and NT is that being “God’s Son” is generic.It simply means faithful and righteous servant of God and not literal “begotten not made”;as that will make Mary God’s wife and Jesus another “god or God” which is rationally impossible as it defiles the universal definition of God as far as the monotheists are concerned.Glorify is Allaah above all that they associate with Him. “The angel answered and said to her, “The Holy Spirit will come upon you, and the power of the Most High will overshadow you; and for that reason the holy Child shall be called the Son of God.”.I have heard with my own ears about 25 years ago in Nigeria a Christian born again pastor say to me “…God actually impregnated Mary …” and I almost expire literally.May Allaah guide them aright.Some of them like Sam Shamoun,Dr James White say Jesus is the “Eternal Son of God”.That he as always being God’s Son and did not become one due to his virgin birth.Nabeel Qureshi said “its a title”.What can you trust?This is a position they have never produced a text proof from their distorted word of God with many forged books and pseudonyms (false ascription of the authorship of some books and many anonymous books).The World Christian Encyclopedia says there are about 20,780 distinguishable christian denominations in the world some years back!It is hilarious that as an ex-Muslim you can use Christian claims and writings to falsify Islaam. This shows your degree of ignorance brother. Brother,you have absolutely no rational objection against Islaam on this subject as always.I can go on with the rest of your claims and destroy them one-by-one.But I stop here for lack of time.May be I will some time clarify some more issues you have raised,inshaa-Allaah. and what if the story of Jesus’ virgin birth is a concoction itself? Where does that make the Koran stand in the light of the historicity of the Bible itself? The tale of Adam and Eve is a Semitic myth, and nothing else. In either case, the best “evidence” is then not the Koran but historical sources. The Koran borrows heavily from Jewish and Christian folklore, and if it doesn’t, you need to counter that question. The onus is then on you to explain why only Islam is the TRUE religion, since you claim Jesus’ virgin birth is true. Also, the Koran is obscure on the issue of crucifixion as far as I know. And Christians contend that crucifixion has historical evidence, that is convincing. Why would an objective observer believe what you have to say any more than what devout Christians (sane, erudite and not apologists) argue? Sameer is not preaching atheism as you suggest, and has in fact said that he considers himself more of a deist. You’d also be well-advised to read the Koran itself and see how Jewish and Christian scholars (both) have refuted some of its content. If you claim to be a truth-seeker, you shouldn’t come across as a mouthpiece of Islamic theology but rather as an agnostic. Also, the Satanic Verses episode DID happen: now of course, Yasir Qadhi would come up with “nuances” for the episode itself, suggesting confirmation bias and nothing else. There is tons of literature and scholarship on how Islam can be described as a political movement. You conveniently ignore that, and continue to pound references from the Bible that suit your narrative. That is nothing but convenience. SZ,where is your evidence to buttress the charge “The tale of Adam and Eve is a Semitic myth, and nothing else”?Critical scholarship has instances of biblical historical inaccuracies though,that does not mean that every story in it is mythological.The Qur’anic narrative of the story is crucially different from the biblical one.Thus,it is not impossible to have it mixed with myths in the biblical version.I have dedicated over 3 decades of my life studying the validity of the Truth claims of Islam and I am thus as sure the contrast between day and night that Islam WHOLLY TRUE and others are either a mixed up both lies and truth and or patently pure lies and forgeries.I know my stuff. Your claim of the Qur’aan “borrowing heavily ….” only showcases your blatant ignorance of this subject.You might be a genius on other subjects but here you are simply churning crap.You simply do not know how to reason from “all the data available on a subject”.If you do,there is no way you can claim that the commonality of some essential points between the Qur’an and The Judo-Christian scripture is a sign of “borrowing”.It only proofs the “commonality of the source”-the revelation from the One True God,though the earlier scriptures suffer corruption and distortion over time as all non-fundamentalist biblical scholarship agree (see Bart Ehrman for an example) unlike the Qur’aan.When you take into account the whole the Qur’aan,the authentic hadeeth and reliable Islamic history and the life of Prophet Muhammad,even critics of Islam like Montgomery W was forced to conclude that to claim that “Muhammad is a liar” create more problem that it solved”!Reasoning form all the data does not support the claim of a false claim.He is God’s true Prophet and not an surely impostor.If you insist other wise and refuse to to objectively investigate this issue,the choice yours to wait till you see perdition in the end.Wishing you,Sameer and all sincere seekers out there Allaah’s hidaayah (ie guidance). You claimed Sameer is not an atheist nor preaching same.Really?Bro you do not know your stuff.Sameer says there is no proof for God’s existence.He says God does not answer prayers.He says all we have are ancient stories.He says “God used to talk,all of sudden (ie in modern times) he went silent”!Watch his videos and read his writings. 2.2 billion people believe that Christ was crucified (and many more throughout history). You believe that these people are wrong. And how do we know that you believe that these people are wrong? Because you choose to believe everything Muhammad tells you to believe. What did Muhammad say was his message from his god in Quran 4:157? We read: “And [for] their saying, “Indeed, we [the Jews] have killed the Messiah, Jesus, the son of Mary, the messenger of Allah .” And they did not kill him, nor did they crucify him; but [another] was made to resemble him to them.” [Sahih International translation]. The god of Muhammad’s imagination tricked people into believing Jesus was crucified. Not only that, he had some other poor guy murdered instead. Truthseeker, you are far more moral than Muhammad ever was. You deserve a better prophet & a better god, or no god at all. Regarding my statement “Allaah made Jesus-peace be upon him-a Messenger that is a collection of signs-his miraculous birh,speaking at the cradles,speaking in middle-age when he returns,healing the blind,deaf and dumb,raising the dead,miraclulous escaping of death plot by crucifixion,stoningor whatever,fashoning of a bird-like shape that became a real living bird (not 12 as Infasny Gospel of Thomas fabricated on a Sabbath likethe 4 “Gospels According to” too unreliabe),prophesying Ahmad the Seal of all prophets and messengers-peace be upon them all-etc.” Surah 19:21 sums it up. “This Melchizedek was king of Salem and priest of God Most High. He met Abraham returning from the defeat of the kings and blessed him, 2 and Abraham gave him a tenth of everything. First, the name Melchizedek means “king of righteousness”; then also, “king of Salem” means “king of peace.” 3 Without father or mother, without genealogy, without beginning of days or end of life, resembling the Son of God, he remains a priest forever.” YET Christians do not say his father is God. How can it make sense that “he was crucified, because he died for the sins of humanity” when Christians belief in the OT and argue that Jesus came to die in final atonement for sins while humans were not sacrificed in the OT but animals,the sacrifice done at the temple,by the priest and the animals are forcefully put to death.While Jesus according to Christian records was sentenced and falsely charged with treason “Messiah claims meaning king of the Jews” and “sacrificed” at the order of the Roman ruler and outside the temple.Sin offering is suppose to evoke God’s forgiveness but this one was visited with His wrath so much that the curtain in the temple wrenched leading to its final destruction in 70 AD as allegedly prophesied by Jesus.Those Jews who orchestrated his alleged death were called called “murderers” and “children of the Devil”-who are neither worthy of Abraham nor God.See john 8:35-down.Peter told the Jews to repent from that crime according to Acts 2:18-down.What sense are you talking about Sameer?You just sheepishly regurgitate Christians lies and absurdities.This is beyond me.May be you should seek for ‘ruqiyyah’. Many of these things used to confuse me in Islam. What does it mean that Jesus is the “messiah” for example? the Jews (of which Jesus was one) were waiting for a messiah, a king, to rule over them and establish a just kingdom of God. According to history. Jesus supposedly was the messiah, and was killed for this claim. He was killed like a common criminal. It’s a failed prophecy. However, according to Islam, Allah tricked the people into thinking he was crucified, thus creating the biggest religion of false worship on the planet.”. Mr Sameer admits his confusion here while he was a Muslim.Most of reasons for apostasy are what is called ‘jahl murakkab’.It is compound ignorance.What he needed to do was to opt for thorough and broad Islamic education.If he had read a pamphlet like “Christ in Islam” by the late Sheikh Ahmad Deedat-may Allah Have mercy upon him-at least this issue what it means to for Jesus to be “Al-Maseeh” in a Muslims’ understanding.Various prophets have various epithets.Musa-“kalaamullaah’,Jesus-‘roohullaah and al-Maseeh’,Muhammad-‘rasoolullaah’,etc-Allaah’s peace and blessings upon them all. As for the Jewish expectations of the role of the Messiah as a king,ruler,bringing humanity to universal worship of the One True God,global peace,etc following the prophecies in their religious writings,etc ultimately fits into the Muslims’ claim that he did not die the humiliating and accursed death at the hands of his enemies.He was saved by a divine arrangement the details of which we do not know for sure. Muslims do not believe that “Allah tricked the people into thinking he was crucified, thus creating the biggest religion of false worship on the planet.” as Sameer alleged here,once a gain aping the “lies of the Christian apologists like the infamous David Wood and his ilk. This charge is very lame for the following reasons. The Christian doctrines and false worship is based on many lies without which his alleged death will be meaningless.After all he was not the first propehet to be persecuted and even killed the votaries of falsehood.Wad Jogn the baptist his immediate predecessor not martyred?And many were the righteous prophets martyred before him and that did not lead their followers into starting a new false religion and deviate from the ‘millah’ of Aibraheem-the fried of Allaah-upon whom be Allah’s peace and blessings. 3.The innovation of belief in human blood as means of averting divine wrath. 4.The myth of ‘God incarnate’-‘God-man’ union. 6.Deviating from Jesus’s clear teachings regarding what must a man do to enter into eternity.”keep the commandments”,he said and follow me. 7.Their ignorance that the Messiah will be saved as in Psalms 20:6 and that even his classical Jewish name means “saved” foreshadowing the failure of his enemies to kill him. 8.Their abandoning of his teaching that the Mosaic law are binding and not even ‘jot’ should be left out as Matthew reported.If they uphold that they would know that a creature should never claim to be god. 9.They forsook Jesus’ real followers like James and went after a claimant like Paul who never met him in his earthly life. 10.The false belief in the alleged resurrection after his alleged death even though it is clearly a fabrication as the facts do not add up. 11.Their imitating of the “disbelievers of old” from among the Greeks,Romans,Egyptians,etc who believed in “dying and rising gods”.They formulated a “Jewish version” and imposed that upon the “Son of Maryam”-peace be upon them both. 10.Reject the prophethood of the last Messenger Muhammad-peace and blessings of Allah be upon him,his household,companions and all those who sincerely follow his path till Doomsday.Ameen. Please pardon my many typo errors(wad instead of was,jogn instead of John,etc) and omissions.Just too many files on my table being extremely busy,yet wanting to contribute something,perchance Allah may clarify your doubts and bring you back on board.You have too much to lose for given up the haqq for baatil that atheism is! Dr Shabir clearly made a better case than Dr Tony.1 Samuel 19:24 says Saul was “prophesying …”is that not a feature of a prophet according to the bible.The Qur’aan insists that it itself is the abiding miracle as it stands till Doom’s Day.Moreover,the pagan Arabs were asking the Blessed prophet Muhammad-peace be upon him-to demonstrate wonders as though he were more than a mortal sent to deliver a Message.And that it is up to God to decide if He wants to give signs and what signs He wants to give.Moreover,the Qur’aan also reports that idolaters were saying that even if they see Angels descending with the Qur’aan they may not believe as perhaps they might have been bewitched. The Christian NT records that Jesus was not going to give any sign to those who asked for signs except the sign of Jonah.Yet NT recorded many miracles of Jesus-peace be upon him.In Mark 13:22 he says that false Christs and prophets will perform great wonders,great enough to deceive even the elect.So wonders themselves are not germane;the consistent true message and prophecies are. Nonetheless,authentic hadeeth report several miracles and when they were recorded is not any genuine academic reasons to discredit them. Traditional islamic science of criticism of narrations involve both the critical review of narrators as well as the narration itself.It also utilizes rational scrutiny to detect anomalies as well comparative analysis in view other narrations,etc.It is a very robust science.Dr Shabir does not seem to be fully schooled in the science and thus inclined towards what he deems “western moderate scholarship” position which simply means all of the hadeeth literature is not rejected nor all accepted as even traditional Islamic scholarship espouse. Bro Sameer demonstrated a lot of ignorance under the above sub-heading as is allover his blog.After thoroughly perusing his blog I am absolutely confident that half truth,half information and grave ignorance of the subjects of his searches are major culprits in his straying from the right path-Al Islaam.May Allaah guide his back as Has done with many others in the past and in our time too. The Qur’aan is very lucid that Allaah revealed Injeel to Jesus-peace be upon him-as he had revealed earlier books and leaflets (suhoof) to earlier Prophets and Messengers.As is usual with scripture-based religious there would be the core verbal revelation from God,the practical demonstration and explanation of that core revelation by its recipient (ie the prophet) and stories about the recipient and his immediate followers. Islaam separately document these three segments while the so-called 4 gospels combine the three segments in a volume. Nonetheless,these so-called “Gospels According to Mathew,Mark,Luke and John” clearly mention that God gave Jesus “what to say and what not to say”,”the truth I have heard from God”,etc.As a matter of fact “Mark’s Gospel” mentioned the term “Jesus’ Gospel” in Greek “εὐαγγελίου Ἰησοῦ” (Mark 1:1) and later in verse 14 it says Jesus was proclaiming the “Gospel of God” in Greek “εὐαγγέλιον τοῦ Θεοῦ “. Jesus-peace be upon him-was obviously not proclaiming “Gospels According to Mathew,Mark,Luke and John” as these were written much later with earliest being Marks’ at about 40 years after his ascension. The Jesus’ seminar scholars estimate that the actual words of Jesus in the so-called 4 gospels are probably less than 20% and as such the “core revelation” called Injeel are certainly far more less.Was the revealed Injeel written down as book at the time of Jesus-peace be upon him or not?Was it meant to be book like the Torah or not?and such particular questions seems not to have a definitive answer in Muslim thought.Whatever the answer is,we have not seen such a book till date.Does it mean it never existed or it became extinct for whatever reasons,only Allaah knows.As for the insinuations that some make such as that the Seal of the Prophets-Muhammad-peace be upon him-must have mistaken “4 Gospels for one”,that is patently false as we have demonstrated above. May Allaah guide us all aright. Sameer,just though I should share this with you from a non-Muslim confirming that the Jesus-peace be upon him-that Muslims believe him is fundamentally different from the one concocted by Christians.He is not “a copy and pasted Prophet” as you alleged. Sameer,your arguments under this sub-heading really ached my heart.Why are you so offended with Islam that you lost all sense objectivity?Why don’t you mind to impugn lies on Allaah’s Messenger-sallallaahu ‘alayhi wasallam?Wallaahi,he does not lie.Even his enemies-past and present-admit he is veracious.You may think he is “mistaken,inspired by the Devil,etc”-may Allaah forbid.But to allege that he “took the stories of Jesus that were available to him and fit them into the Quran in order to make his message appeal to Christians” is to call him a liar.Sameer,are you so bold as to accuse him of lying?I am tempted to pray that Allaah treats you as you deserve but I resisted this because I know you are just swayed by your ignorance.May Allaah guide you aright. You accepting the Infancy Gospel of Thomas because Christians regard it as forgery is laughable and not scholarly at all.Do you know how those ancient documents are dated at all?Are those dating methods error-free?Is later text necessary less reliable because of its dating and containing more supernatural events?The educated and informed answer to these and similar questions are resounding “NO” . Just watch you video on “Jesus in Islam, The Copy-Pasted Prophet” and I thought to comment on some points. I do understand you are an atheist but I think for fair balance or thorough study on topic, you need to consult/reference other materials that are factual but not necessary agree with your believe. 7: 14 Therefore the Lord himself shall give you a sign; Behold, a virgin shall conceive, and bear a son, and shall call his name Immanuel. 9: 6 For unto us a child is born, unto us a son is given: and the government shall be upon his shoulder: and his name shall be called Wonderful, Counsellor, The mighty God, The everlasting Father, The Prince of Peace. To show that this actually written centuries before the actual birth you check on the oldest manuscript of the book Isaiah found as part of path of the dead sea scrolls, discovered between 1947 to 1952 and the scripts are dated over 100 BC. So the virgin birth is not a later idea, instead it is a something prophesied centuries before is actually took place. Secondly the book of Matthew is written between AD 60 – 65 (Not 70 years after birth), Mark written between AD 55 – 65, Luke AD 60 – 65, John AD 85 – 90. You need to read the book of Acts to see how the lives of the writers mixed with one another. If you have read the book of Mark, you will notice his focus was what Jesus did. So the healing and other miracles he did. Whereas for Matthew being a Jew and most likely writing to Jewish audience in mind, reference the prophets to show Jesus life from birth to death in order to explain he is the Messiah. The beauty of life of Jesus Christ is that there were over 40 prophesied, written centuries before him, about his life that he has fulfil and some he is going to fulfilled. No religion has or could lay a claim on such, even those that claim virgin birth. The other bits are commentary and not part of Torah. With regards to his kingship and peace, I don’t know if you ever heard of terms like first coming and second coming. Basically, prophesied with to the peace and kingship will happen at the second coming. If I put everything here it will be too long to read (Not even sure you will read). Even his killing was prophesied (Isaiah 53, Zechariah 11:12-13, Psalm 22). So him dying is as described but the good thing is he resurrected as prophesied centuries before it happen. It didn’t fail prophecy. My last comment is on Bart Ehrman who is an agnostic atheist but teaching religious studies and his lectures which I see you posted a lot of his commentary (or opinion) on his account of Jesus. I think it will be good to read the gospels, watch other lectures from Bart colleagues that also Christian and see their perspective. I can suggest a few if required. Don’t have comments on Infancy Gospel of Thomas and Syriac Infancy Gospel since that are not considered scriptures and are written much later. + Truthseeker “However, according to Islam, Allah tricked the people into thinking he was crucified, thus creating the biggest religion of false worship on the planet.”. Stupid old Allah then, perhaps he should have seen that coming! Your arguments just show how people can delude themselves by coming up with any old explanation to defend their orthodoxies. Treyarnon,I have not visited this blog for a long time as I see that Sameer is not committed to truth and honesty.He is open to what suit his fancies,errors and misguidance and not truth.We have exchanged e-mails to rub minds,but he literally ran away rather than respond my points in an intellectually honest manner that befits a truth seeker. As for the statement “Allah tricked the people into thinking he was crucified, thus creating the biggest religion of false worship on the planet.” ;that is not mine.That was from Sameer-his parroting of the the statements,thoughts and ideas of the Christian missionary liars like David Wood and Sam Shamoun. My contention is that the “crucifixion or cruci-fiction” amount to nothing without the other Christian false beliefs such as original sin,vicarious atonement,etc.Christianity is paganism disguised as teachings of Christ-upon whom be peace.